On March 12, strong bidding emerged for a 10¾ x 15in (27 x 38cm) oil on copper catalogued as ‘17th century Flemish School’ at East Sussex saleroom Gorringe’s (21% buyer’s premium). 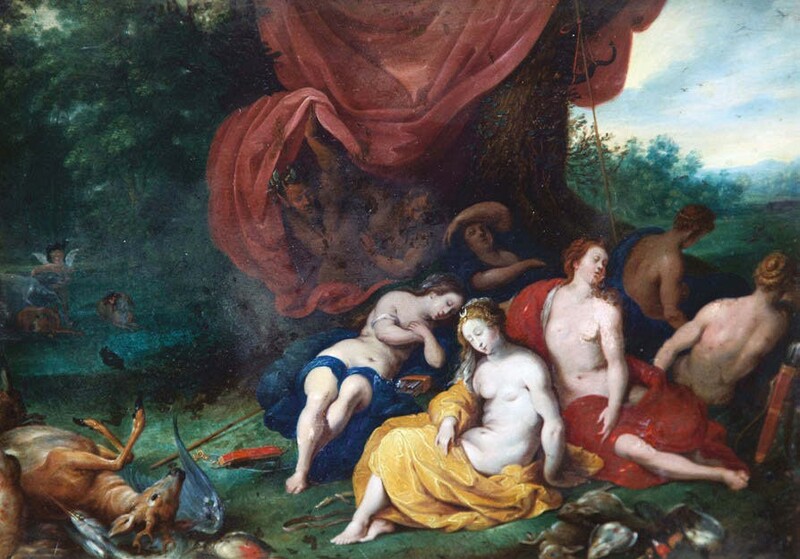 Depicting the goddess Diana asleep with her attendants in a wooded landscape, it was knocked down at £16,000 against an £800-1200 estimate. “The Flemish work came from one of the last ‘grand old ladies’ of Hove and had been in the family for many years,” said Clifford Lansbury, auctioneer at Gorringe’s. It was fought over between a bidder who travelled from Belgium and an online bidder from Germany. The latter was successful. “There were no English dealers in the running but clearly the foreign trade saw some potential in it and perhaps had an attribution in mind,” Lansbury said. 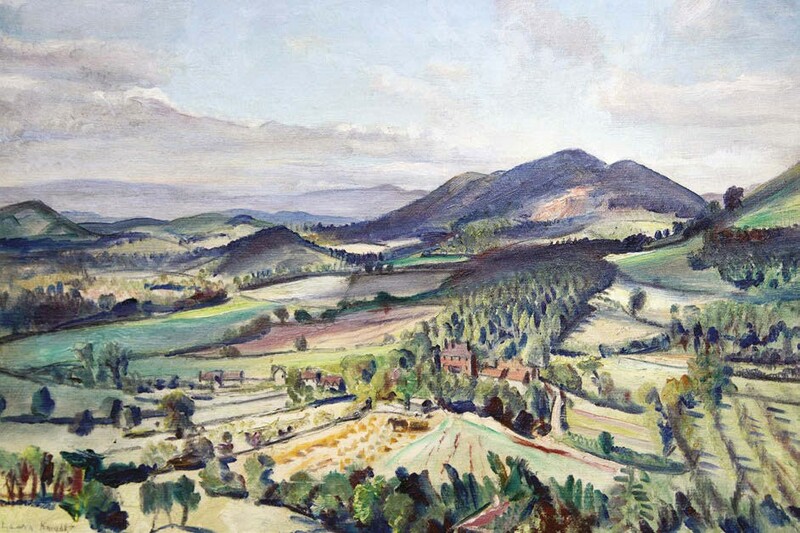 Among the Modern works in the sale was a Laura Knight (1877-1970) landscape of the Malvern Hills, which had been exhibited at the Royal Academy in 1958. The range of hills, which stretch across the counties of Worcestershire and Herefordshire, was a popular painting subject for Knight. She visited the area over a 30-year period. The well-preserved 6 x 10in (16 x 24in) oil on canvas was knocked down to a gallery outside London at £12,000 against a £1500-2000 estimate. “It was consigned from a private Seaford collection and, judging by the chalk on the back, probably bought at auction 10- 15 years ago,” said Lansbury. According to the Art Sales Index, an oil bearing the same title and size but lacking a thumbnail image to compare compositions sold at auction twice before, both at Christie’s, where it made £7500 (1988) and £4200 (1990). In February, Bonhams New Bond Street sold Harvesting, Malvern, a larger oil of similar scenery, for £18,000, while one of Knight’s most expensive Malvern views to date is Storm over our town, Malvern, which sold at Christie’s in London in 2009 for £49,250 (with fees). Elsewhere, a group of six pictures of birds by Keith Shackleton (1923-2015), bought in the 1960s-70s, fetched multi-estimate sums including Dive Sequence: Gannets, which sold for £7000 against an £800-1200 estimate. Portrait of a lady attributed to Marcus Gheeraerts the Younger – £11,000 at Tennants. Old Masters led the 100-lot picture section at Tennants (20% buyer’s premium) in Leyburn, North Yorkshire, on March 23. Sold just over estimate at £11,000 to a buyer in Asia was a half-length Flemish portrait of a lady attributed to Marcus Gheeraerts the Younger (c.1562-1636). 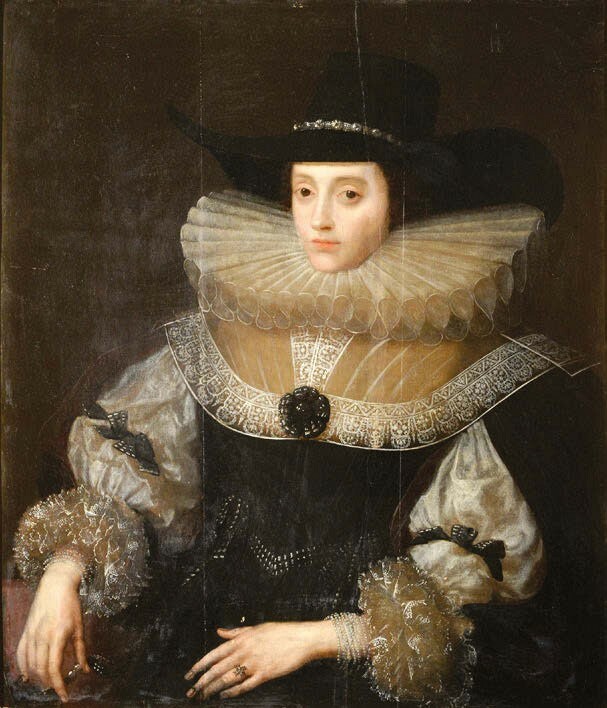 The sitter in the 2ft 9in x 2ft 6in (86 x 77cm) oil on panel had historically been identified as Anne of Denmark, wife of King James VI of Scotland (James I after the union of the crowns). It had last appeared at Sotheby’s in 2001 fully attributed to Gheeraerts and catalogued as ‘Portrait of a Lady’ but had failed to find a buyer on the day estimated at £15,000-20,000. A small Flemish oil still-life of oysters, lemon peel and a glass of wine attributed to Thomas de Paep (1630-70) was keenly contested against a £1000-1500 estimate to £7500, while a French 17th century flower still-life, catalogued at ‘Circle of Nicolas Baudesson (c.1611-80)’ tipped over top estimate to sell to a UK private buyer for £9200. Among the 20th century works of note was Worthy Down (1936), a 19 x 23in (49 x 59cm) oil on board of poppies and other wildflowers blooming in a meadow by Eliot Hodgkin (1905-87), which achieved a top-estimate £5000. Bonhams last sold the work in New Bond Street in 2010 for £4500. The 19½ x 23in (50 x 60cm) picture is likely to be the same exhibited at Hodgkin’s first one-man show at the Picture Hire Gallery in Brook Street in London. Shortly afterwards Hodgkin began working in egg tempera, his signature medium, and would go on to develop a fascination with painting flowers emerging from the rubble on bomb sites during the Second World War.